find hope in malang.. taste some routes in monkey valley..
1999 .. Kiaracondong evening breeze at the train station to accompany the faithful, waiting for the train departure to the land east of Java. Aus chair, sometimes leaning against the backpack. Clumps of smoke from my mouth coloring solitude. With pkl.21.00 toward the train, into the crowded carriage with other passengers. Penumpanng misses every crowded car seat, push yourself to enliven the home at the weekend. Right pkl 21:00 train moving, keep going all night. Crossing the fertile soil of this country. 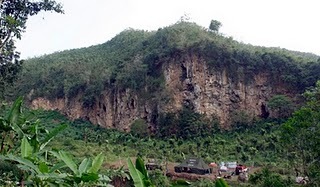 Pabeasan Cliff (cliff 125, climber) Citatah Padalarang, where the hone ability to climb and security installations. 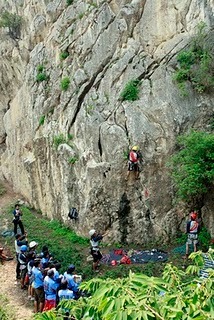 The first cliff on blindly, Rock and Roll climbing lane. Exclaimed once, too rigid and not feel neglected already the fifth time they will test the line. Taking place in 1996. Done SS13, cliffs 125 always tuk place kemampun increases. In all of the security market line with ease in the can, add a passion tuk keep practicing. Together with my friends began to climb every inch of the surface of the cliff, put all the security that depends on the body, climbing and continue to move against gravity. Early resort in the cave, 20 meters from the base. Relax a moment when setting safety alias used, in laughter interspersed making robes lost in some sense. From the cave we continue to go up, we go up the hallway / large gap with the technique of “chimneying” different from the usual climbing. Space about 10 feet high, quite tiring and more tense. Terrace to break fresh fit in the hall, can accommodate 5-8 people sitting and standing. Before you continue the climb, because we usually re-arrange climbing equipment will be used to track pemanjaatan safety. Next track is fairly easy hiking, we do not use climbing skills as before we did. Along the route we can see the vegetation that can help the process of climbing into the grip or footing. Gate all the adventures in steepness. Schools held in 1998 Skygers Force-13. 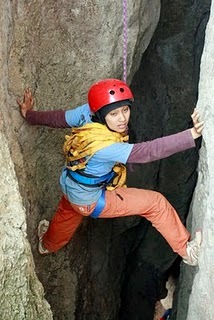 Activities undertaken in the region Gn.Parang, Purwakarta, West Java. School Program open elementary & Advanced (one package). Skygers school fees are very affordable, Rp. 200 000 .-. When monetary attacked this country, but Skygers school fees even survive with low budget above. Hmm .. no decrease in quality of school teaching, same as in previous years. All instructors who are involved in all affairs of this issue until the affairs of the kitchen, do all the work yourself in order to reduce costs.